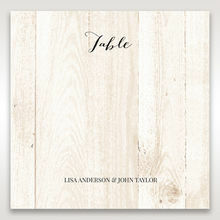 This rustic beauty is incredibly unique and perfect for any outdoor celebration. 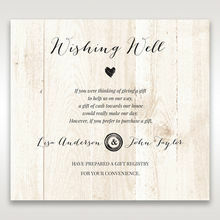 A grain imitation features throughout the card to emulate the natural pattern only seen on the surface of wood. The intricately designed cover is striking as it allows a vintage feel to radiate flawlessly, while the silkscreened cover, embossing and foil stamping elements add an air of luxury. When opened, the invitation reveals an equally impressive wood patterned card with wedding information in our signature typography ink. 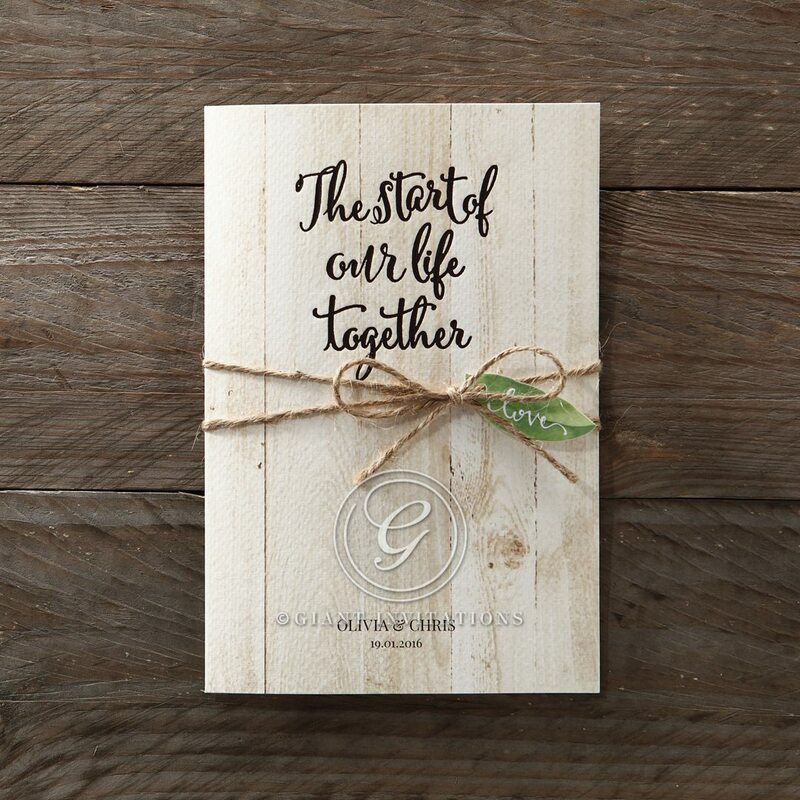 A charming earth toned twine and leaf tag completed this outdoor inspired love story announcement. We ordered our wedding invitations from Giant Invitations and really liked the experience. We felt they were exceptionally well priced and of good quality, particularly when compared to other companies. We had several guests comment favourably on how unique the designs were. The consultation process went really smoothly and the team were patient with changes. One thing I would love to see the next time I order invitations from G.I. 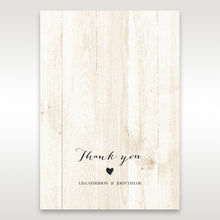 (which I am sure I will be doing - in fact I am about to order thank you cards), I would love if they could make recommendations along the way of what they have seen work really well. The invitation and envelope feel high quality with 3D embossing for the lettering on the front. We ordered samples the arrived quickly and made our decision much easier. The website is easy to use and Giant Invitations offer so many extra features for invites that we wouldn't have thought of such as return address on the envelopes and matching table name cards (that we plan to order closer to the date). 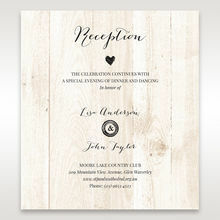 We ordered the Rustic Woodlands wedding invitation sample- the shipping was super quick, great communication and the invitation is just beautiful, even better than the photos on the website! The quality and the embossing is absolutely gorgeous and the embellishment of the twine and paper leaf is really lovely- native, natural but elegant perfect for our wedding theme! 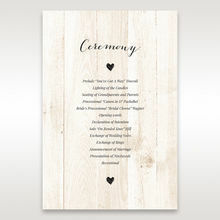 We can't wait to see our own wedding details in print. Thank you! We have ordered three samples and this one was by far the best. We absolutely loved it and this will be our wedding invitation. 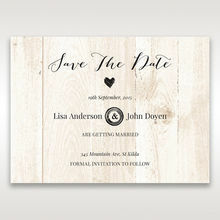 The material is very professional and perfect for a wedding invitation. Keep an eye out for our order! The delivery was prompt but was left at the front door which I thought was not ideal if it rains. Delivering to PO Box would be better. Could you please deliver my next order to a PO Box? Ordered these for our wedding with is 6 months away. The invitations are good quality, card is quick thick and gumleaf is a good size. Font is a good size. Very responsive to edits and excel templates are very helpful for guest names and addresses. 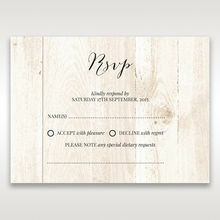 Also order RSVP cards to match the invitation. 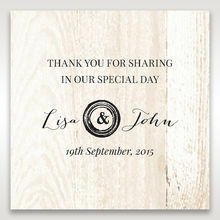 My partner and I ordered 3 samples for our wedding invitations, they were dispatched within a reasonable time and delivered quickly. All the sample invitations that we ordered were amazing, we assumed we would have to order samples from a few different places, but we have stopped with giant invitations. We have picked this design to go with for our wedding day. Thank you for beautiful invitations. We ordered this as a sample and were very pleased with the quality and speed of delivery. We did end up going into the store since there were so many different variations to choose from. The quality is exactly what we are after and it's great how much you can customise the designs to get exactly what you are after. The staff were very helpful and able to quickly assist us and answer any questions we had. We are so happy with the fast service, high quality and online support!!! My fiancé and I can highly recommend giant invitations company for all your invitation needs. There online chat service help with all of our enquirers. This particular invite is of a very high quality and beautiful design. 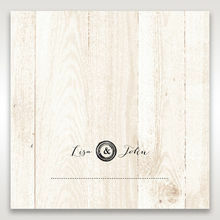 It is so perfect for our rustic winter wedding that we didn't hesitate in ordering these for our wedding. Really happy with the quick postage, courtesy emails & great quality. 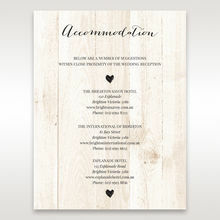 I think the pricing is a little high but their unique designs make them stand out from all the other invitations I've viewed online.I think it's great that there's someone to chat to online also to help through the ordering process, they were able to offer great advice and point me in the right direction. Ordered few samples to choose from, this one was one of our favourites. It is beautiful and quality of work is very good. Ordered samples on Easter Sunday, they arrived the following Friday along with envelopes, wishing well and rsvp card samples. The invites were bigger size than what I imagined, but then I didn't really read what the dimensions were. Will be ordering our wedding invites from here very soon. Loved that I was able to order samples, without a huge cost. Thought the quality was very high. I found this website through Etsy, and I liked that I can order samples from them and even if they were not free, I do not think so they were so expensive. Plus they arrived very fast even if I live outside of the USA. The samples looks really nice and I already choose one. I cannot wait to order my invitations. Invitations not as nice as samples sent.